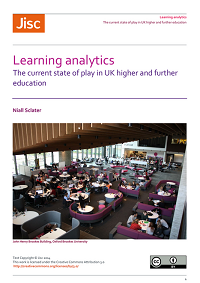 Institutions that are rolling out learning analytics projects will have to address a range of new and often complex issues. This is likely to mean developing an institutional policy specifically to address these issues or adapting existing policies. 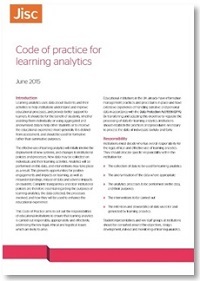 Jisc’s Code of Practice for Learning Analytics provides a checklist of the areas which may need to be handled in such a document. A lot of institutions have asked us for help in developing their policies in this area. 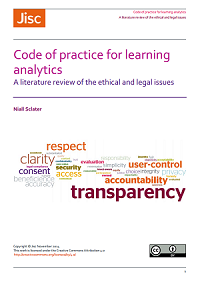 Based on work carried out with Dr Nick Moore and colleagues from the University of Gloucestershire, I’ve produced a draft Model Institutional Learning Analytics Policy which covers the different areas in the Code of Practice. One challenge we had was how to get a policy through institutional governance processes when we didn’t yet know precise details of the data to be drawn from and the processes that are to be put in place. Not only that, but these things are likely to evolve quite rapidly, and you can’t be continually taking a document containing relatively minor changes through layers of committees. 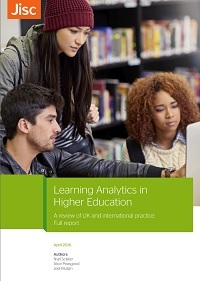 The answer is a separate document – see the draft Model Student Guide to Learning Analytics. This is referred to by the main policy, but can be dynamically updated with new details as they arise. Separate documentation for staff may be required too – perhaps in the form of a single guide for all staff or tailored to specific groups such as personal tutors. One challenge is to ensure maximum transparency around e.g. the data that is being used and the algorithms being deployed, while ensuring that the document is comprehensible by students (or anyone else, for that matter). It does occur to me that, for the purposes of transparency, there might be a need for a third document for those students (and staff members) who want the full gory details of what’s happening under the bonnet. The idea is that institutions will be able to take these documents and adapt them to their needs. These are works in progress and there are no doubt other areas which could be included. 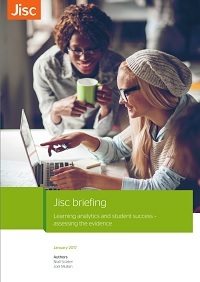 The draft policy and student guide will be discussed at a workshop to be attended by early adopter universities in Bristol this week. 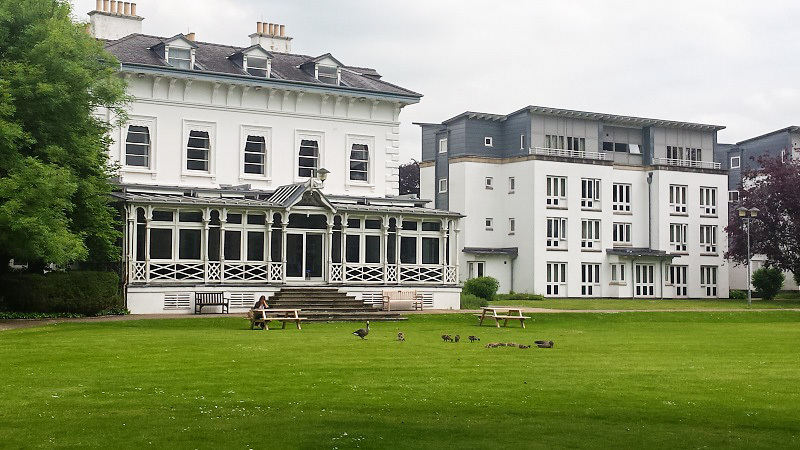 Comments from others would be very welcome, either on this blog or via email. Thanks Matt. Interesting that you’re doing a requirements form for separate projects. I had envisaged that these two documents would be used for institutional learning analytics initiatives but I could see why you’d want to do things at a project level too. Your policy is looking great BTW. Thank you. We may be over-future-proofing with our form but in the longer term I suspect there might be multiple projects at the institutional level. Our first project is going to use the form for different phases/tools as we introduce them. I’m hoping that the process of completing it is useful in itself. This is really useful. We used the code of practice as a starting point for our draft policy. In terms of “known unknowns” around data, we’ve decided to go for an additional “data schedule” which will be a shorter document that describes data collection points and uses. We hope that this will ensure that there is discussion around our (hopefully) growing capabilities, and our actual policy doesn’t have to be constantly updated. I like your student document too, so suspect we will use that too. Hi Sheila. Sounds like you came to the same conclusion as us then: that there’s no point in trying to cram all the information on data sources etc into the main policy, and it needs to go in a separate, more easily updateable document. Will be interested to see your final policy. 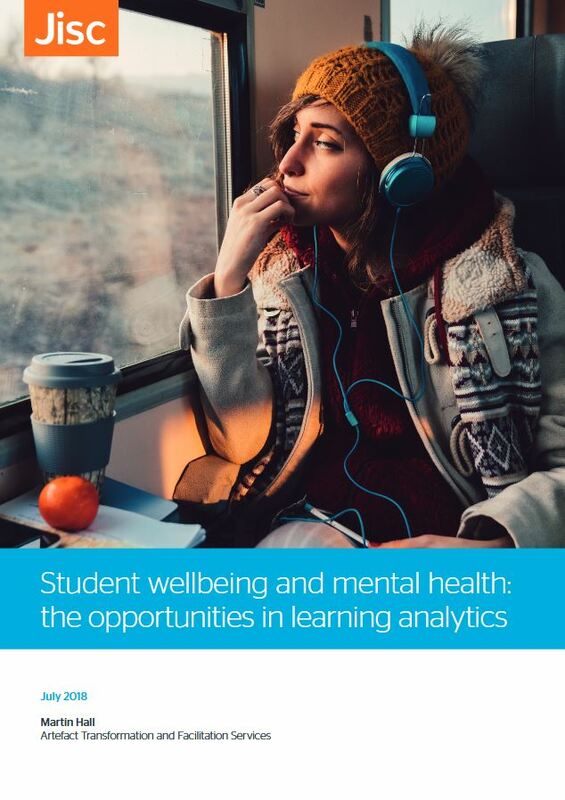 We have updated the formal standard statement on how Brookes uses student data to take into account the world of learning analytics. 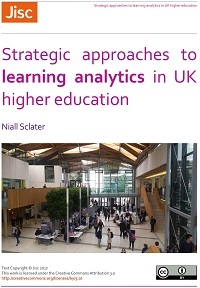 We have also written a more aspirational ethical policy on how Oxford Brookes will handle learning analytics data, which sounds like Matt’s Guiding Principles. The challenge I was given by our Head of Information Management today is how to ensure these are read by students. I was able to point to the template of the Student Guide. We will produce a version of this and send to students at enrolment. Perfect timing! Thanks Niall. Glad to know it was helpful, Rhona. If you have any tips for enhancing it, please let us know.